All Member Clubs must provide the League Secretary with a complete list of their North Devon League fixtures for the forthcoming season prior to the 1stof March each year. The League Secretary, the relevant Results Secretary and - when appropriate - the Umpires Appointments Officer are informed as soon as the clubs have agreed to the rearrangement. If the clubs cannot agree a new date for the fixture, then it must take place on the date originally agreed. The Home Club shall be responsible for ensuring that the results of matches (this includes both cancelled and abandoned games) are delivered to the Divisional Results Secretary in full on the Result Sheet provided no later than the Wednesday following the game. Failure to comply may at the discretion of the Leagues Management Committee result in points being deducted from the responsible club. With the League Secretary prior to them playing in a North Devon League game. The Secretary will send to each member club by the 28th of February each year a full list of their registered players as held by the league. Match day registration of a player or players is permitted by completing in full the leagues prescribed registration form which must then be signed by both captains of the day. The registration from must be returned to the League Secretary following the match. For the sake of clarity registering a player means the official notification to the Secretary of a player who you intend to play in a league game who has NOT played for or is NOT a registered player for any other member club in the league - if they have or are, then a Transfer (see 4i) must be carried out. It is important to note that care must be taken to ensure a player was not registered with another club within the league in a previous season. It is the responsibility of each club to check and monitor their list of registered players. It is also the clubs duty to inform the Secretary immediately of any errors which may arise. Any young cricketer who is under 13* years old must have written parental consent on their Registration Form. Anyone under 12* years old may only register for the League if they are a member of a County Squad. Players under 11* must not be registered. (* for the purposes of this rule it is their age on 1st September in the year preceding the season). No team may play anyone who has not been properly registered. Players shall not play for more than one Member Club in either the North Devon League or North Devon League Cup without the prior agreement of the League Management Committee. 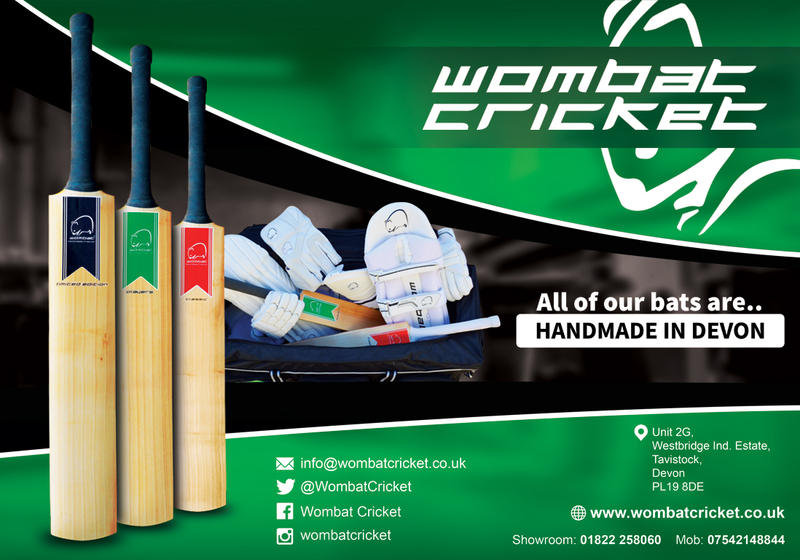 No professional cricketer may play in the League unless that player was a bona fide amateur member of a North Devon League Club(s) for a period of at least three years before turning professional and no Club may field a Player they are paying to play cricket. If a club believes that this rule has been breached, it should notify the Secretary in writing within 7 days identifying the player(s) concerned. The notification must include also their reason(s) for reporting it and proof of any breach. The player's status will then be determined by the League Management Committee whose decision shall be final. No team may play more than one player in a League game who is not an EU national. In Division 1and 2 matches only, the North Devon Branch of the Devon Association of Cricket Officials will appoint Umpires. Each team will supply a Scorer. In all other divisions, each team will be expected to supply an Umpire and a Scorer (both to be in possession of a current set of League Rules). Teams must consist of a minimum of eight players. Any team unable to reach this minimum number shall be deemed to have failed to raise a side and Match Rules 10, 10a and 10b will apply. Teams not able to commence at the stated time shall forfeit the toss. Each team shall supply a match ball stamped with the league logo. Each team must provide a spare ball in good condition; when practical the league logo should be visible on these spare balls however when this is impossible due to the age of the ball it should be confirmed that the ball is of the make and type stipulated by the league. In 1st and 2nd Division games only, there is no requirement for the away side to provide a spare ball. In these Divisions, the responsibility for spare balls rests solely with the home side, who must provide a minimum of three used balls of the requisite type and condition. The aforesaid balls will be subject to the approval of the umpires, The selection of a spare ball from this stock will, when the ball previously in use is lost or damaged, be chosen by the umpires. Each innings MUST COMMENCE with the match ball supplied by the fielding side. A Captain may request to see the match ball and spare(s) provided by his opponents when they are lodged with the umpires prior to the toss. Any Club, unable to honour a fixture through inability to raise a team shall forfeit maximum points to opponents. In addition 2 (two) percentage points will be deducted from the clubs points average for each offence. For the sake of clarity this means that should the guilty team’s point’s average for the season be 14.50, the applied penalty will mean it would become 12.50. A second offence would mean reduction to 10.50 and so on. Any Club with more than one team in the League, if unable to honour a fixture through its inability to raise a team shall, if they have multiple games on that day, cancel the game in the lowest division. In this instance the result points awarded in the game played will be in compliance with match rule 14 however the deduction of average points will be 1 (one) percentage point from each of the teams the offending club were scheduled to play on the day. Should an away or visiting team be unable to honour a fixture due to its inability to field a team, they will be responsible for both teams teas. The amount being the rate charged by the home club for that season, which shall be paid to the home club within 14 days of the cancellation of the game. . The normal duration of play shall be 40 Overs per side, with an interval of 30 minutes for tea between innings. If the first innings is concluded before a 3pm, tea shall be taken at 3.30pm or after 40 minutes, whichever is the later. In games affected by weather, tea may be taken at a time agreed by both Captains and Umpires. Under no circumstances is the side batting second permitted to declare their innings closed. A side guilty of such an act will be adjudged to have forfeited the game. Apart from those games which have independent umpires any abandonment of a game once it has started must be with the mutual consent of both captains. Failure to agree by default means the game must be played to a natural conclusion. Cost of teas to be LIMITED to a MAXIMUM of £39 per TEAM. Where two or more bowlers share an over, it will count as a complete over for each bowler concerned. 10 points if they have attained 90% of the winners total score. 1 point for each wicket taken, with an additional point for taking the 9th wicket (e.g. 8 wickets = 8 points, 9 wickets = 10 points). Promotion and Relegation shall be decided on an “average points per Match” basis (as will the league tables throughout the season). This is calculated by dividing the total points obtained by the number of completed matches, expressed to two decimal points. If weather or bad light interrupts play during the first innings, one over shall be deducted from each team’s maximum possible Over for each complete seven minutes lost. Thus, if 19 minutes were lost on first innings, 37 Over would become each team’s maximum. The minimum possible number of Over which can constitute a match shall be 15 Over per side. The judges of the fitness of the ground, weather and light shall be the Umpires where appointed by the League. If at any time the umpires together agree that the conditions of ground, weather or light, or any other circumstances are dangerous or unreasonable, they shall immediately suspend play, or not allow play to start or to recommence. No game shall commence later than three hours after the scheduled starting time. No fixture shall on account of weather or condition of ground, be cancelled before 10.30am on the day of the game. Should the away team be unhappy with a proposal from the home team to cancel, they retain the right to travel in order to reconsider the fitness of the ground at the allotted start time. Should the away team invoke the right to travel, and the game ultimately be cancelled without any play, they will be responsible for any costs incurred by the home team, including the home team’s payment to officials at the rate set by the league for that season. Covering of Wickets: Where covers are available, pitches may be covered before all matches at the discretion of the home team. They should also be used under the supervision of the Umpires, where conditions have interfered with play during a game. Wide Ball: If the ball passes either side of the wicket sufficiently wide to make it virtually impossible for the striker to play a normal stroke from where he is standing and from where he should normally be standing at the crease, the Umpire shall call and signal a wide. The exception being in Division 1and 2, where Umpires should be instructed to apply a much stricter approach to leg – side wides: All balls passing down leg side outside the batsman shall be called `wide’. 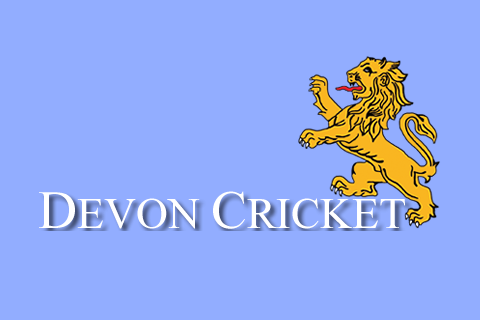 All disciplinary matters, in any way connected with the League or the Conduct of matches or tournaments played under the auspices of the League shall be dealt with in accordance with the Devon Cricket Board Disciplinary Group Rules which shall be deemed to be part of these Rules and which shall prevail over any of the League’s Rules. The ECB Disciplinary Rules provide that the banning of player for a period of more than four weeks has to be notified to the ECB, details of such bans being circulated to all Member Boards thus preventing the player(s) concerned from playing in any cricket under the auspices of the ECB. a) The pitch is correctly prepared and safe. b) The outfield is cut to reasonable standards. c) The pitch and Boundaries are correctly marked. d) The changing facilities for players are both accessible and clean. e) The facilities provided for umpires in Division One and Two matches are also accessible and clean. f) The means of displaying the score is provided. The League appreciate that grounds and facilities will vary from club to club and it does not apply any criteria for them – however the above are a minimum standard of playing conditions under which all games should be played and to which all clubs are expected to adhere. Apart from any special regulations contained in these rules, the MCC Laws of Cricket Code 2000 – 5th Edition 2013 and the Current Code shall apply.